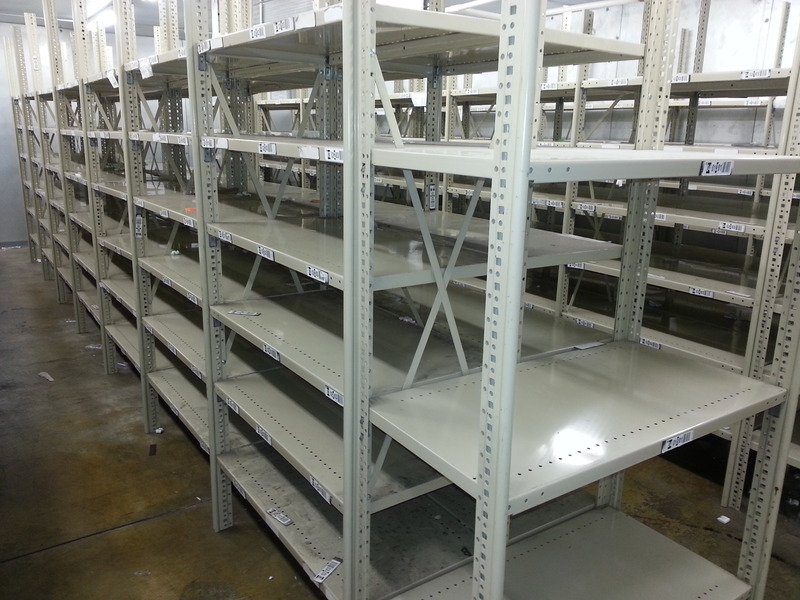 Sold with a minimum of 4 shelves per bay. 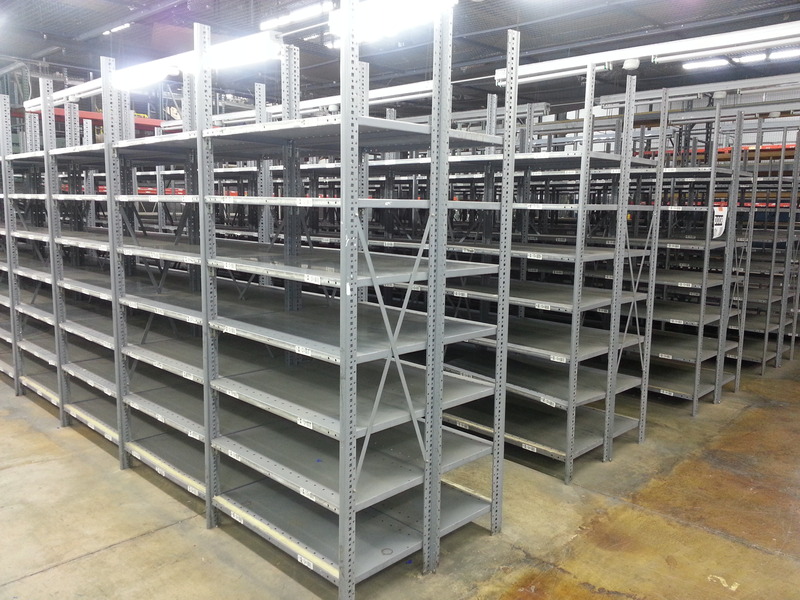 Over 1000 Sections in Stock! 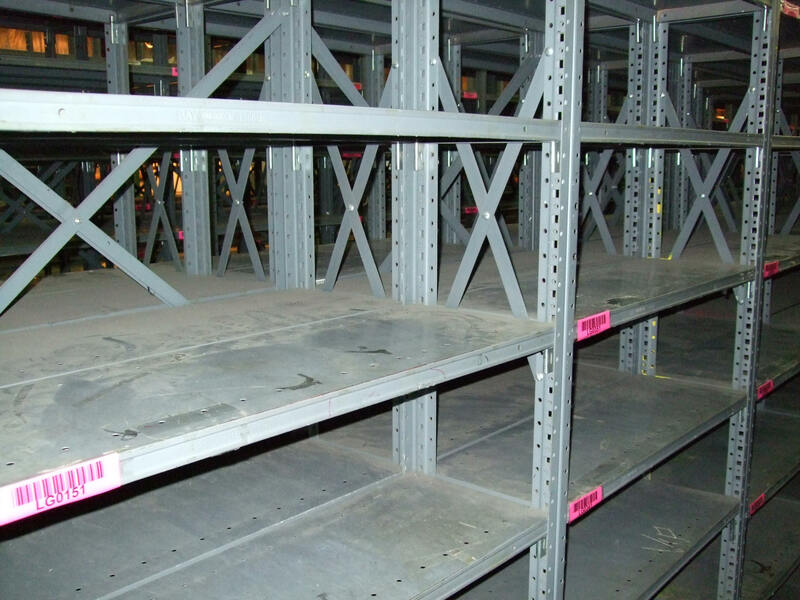 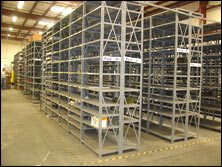 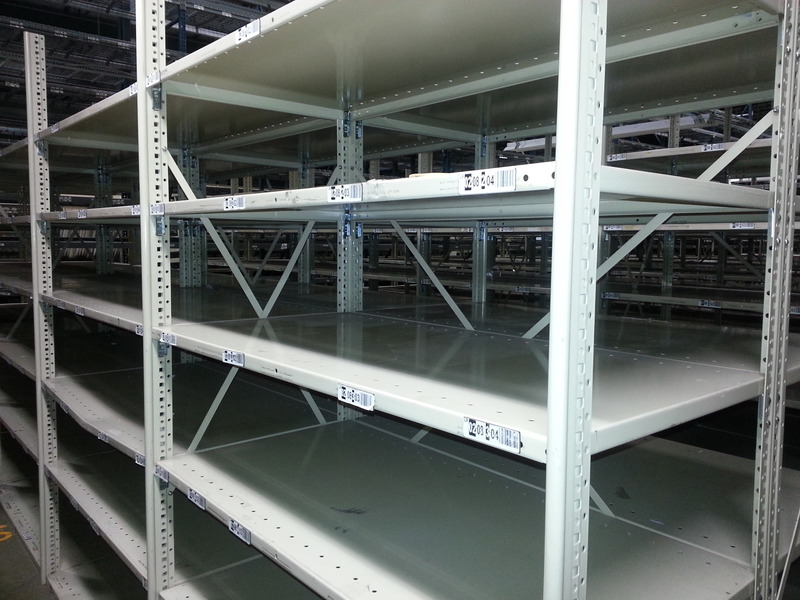 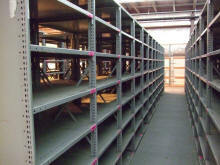 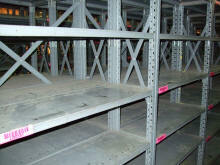 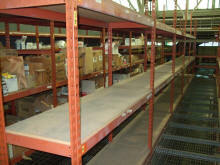 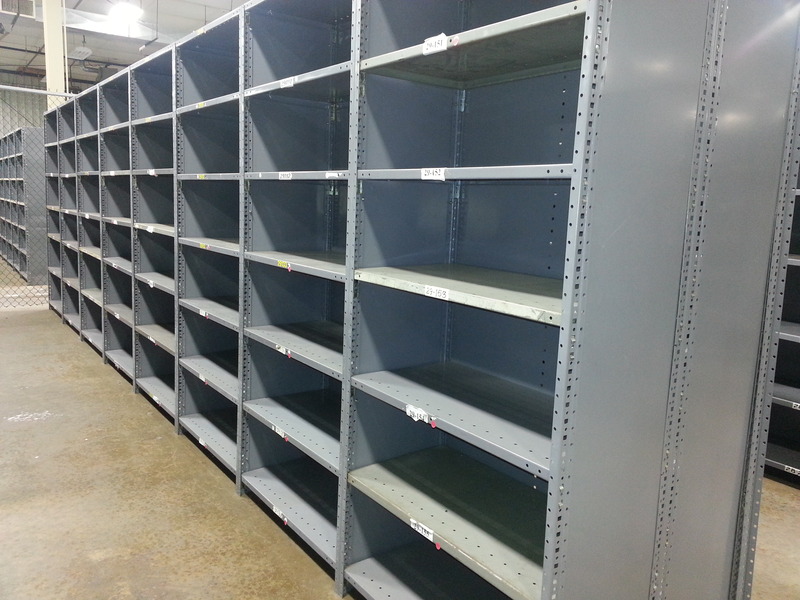 Thousands of Shelving Sections In Stock! 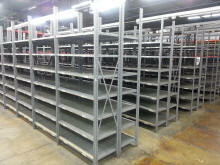 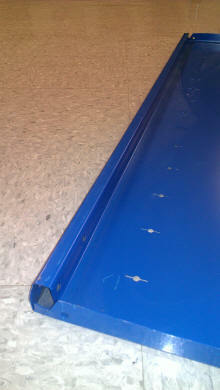 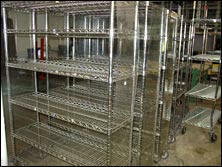 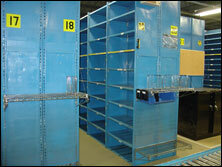 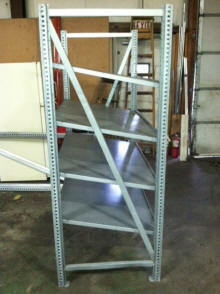 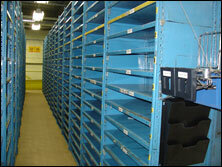 Shelving specifically designed for assembly line production. With the shelves angled at 15°, workers can easily see and pick the parts they need, while new parts are supplied from the back. 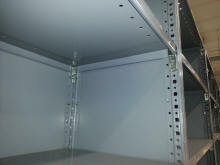 Bottom shelves can be inverted so that empty containers slide out of the way. 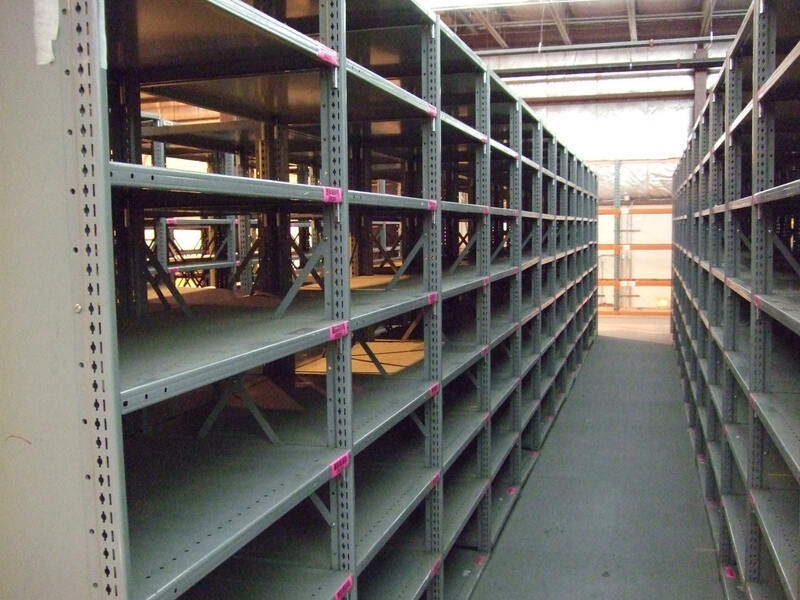 On-Line offers a cost-efficient stock and storage solution for assembly line operations and is an effective way to utilize the valued space of most assembly line processes. 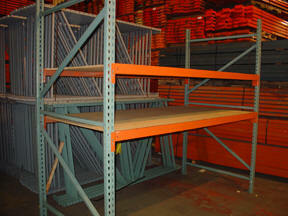 · Each shelf level supports up to 550 lbs.